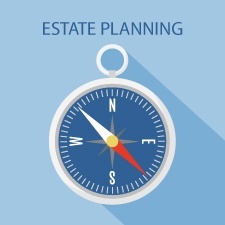 What does the recent increase in the federal estate tax exemption, plus the introduction of portability, mean for the traditional approach to estate planning using the AB trust? You may find that your clients are concerned that their estate planning strategy is no longer relevant. Or perhaps they just don’t want to spend the time and money to have an attorney review their documents when federal estate laws may remain in flux. Given these factors, is AB trust planning still effective, especially in terms of achieving durability and flexibility? Let’s start by looking at exactly what this traditional planning strategy encompasses, as well as some of the advantages and disadvantages compared with other strategies. With an AB trust design (aka “bypass” planning), when the first spouse dies, the bypass trust is funded with an amount equal to the applicable exclusion amount in order to minimize federal and state estate taxes. Any remaining marital assets would transfer to the surviving spouse outright or be held in trust for his or her benefit (see Figure 1). Assets owned by the deceased spouse receive a basis adjustment at his or her death. The marital assets that are included in the surviving spouse’s estate get an additional basis adjustment at the surviving spouse’s death. Although the bypass trust avoids estate tax, assets held in this trust do not receive a basis adjustment when the second spouse dies. But the future growth of these assets remains outside the gross estate at the death of the second spouse. Many of your clients likely have an AB trust design in place. Often times, they contain inflexible funding formulas that force substantial assets owned by the deceased spouse into the bypass trust to minimize taxes. But with the federal estate tax exemption amount steadily increasing—now at $5.49 million—a surviving spouse could feel “disinherited” and left with less control over the assets at the first spouse’s death. A surviving spouse, with or without examining the trust’s provisions with an attorney, might decide to scrap this funding plan entirely and more toward a more simplified approach. A Move Toward a Simplified Approach? Portability. The current federal portability provision has given rise to a more simplified approach to trust planning. This provision allows the first spouse to leave all of his or her assets to the surviving spouse. For example, for federal estate tax purposes, at today’s $5.49 million exemption amount, a couple can protect $10.98 million without using AB trust planning. As a result, many of your clients may want to implement this simplified approach, often working with a joint trust established by both spouses rather than two separate trusts. The advantage? The entirety of the couple’s assets—those left by the deceased spouse and those of the surviving spouse—will receive a basis adjustment at the surviving spouse’s death. Disclaimer provisions. Many attorneys draft more flexibility into the trust by using a disclaimer provision for federal tax planning. With a disclaimer trust, when the first spouse dies, the surviving spouse receives the trust assets. The surviving spouse then has the opportunity to make a disclaimer election, whereby the trust directs the disclaimed assets to the bypass trust. This allows the surviving spouse to use all or a portion of the deceased spouse’s estate tax-applicable exclusion amount. Further, it may bring clients peace of mind, as they don’t have to commit to automatically funding the bypass trust. Here, be sure the client understands the planning responsibility left to the surviving spouse. Will the surviving spouse have to examine the tax picture and execute a disclaimer to minimize taxes? Does the surviving spouse understand the nature of the election? If not properly educated about the benefits of this planning option, the surviving spouse might end up believing that he or she has been disinherited by executing a disclaimer and allowing assets to be placed in the bypass trust. Keep in mind that some states haven’t adopted portability, and many states have implemented estate tax legislation with significantly lower exemption amounts. As a result, the traditional AB trust strategy remains a valid solution for preserving the availability of the state tax exemption between spouses. Let’s look at an example to help illustrate this point. Massachusetts has a $1 million estate tax exemption. A couple with a combined estate of $2 million puts in place a simpler estate plan, leaving the assets to the surviving spouse upon the first spouse’s death. In this scenario, there would be no Massachusetts estate tax (or federal estate tax) because of the unlimited marital deduction. Having relied on the portability election, the estate would not incur federal estate taxes at the death of the surviving spouse. But if the surviving spouse’s estate was still $2 million, it would be subject to Massachusetts estate tax. Why? Because the first spouse to die lost the opportunity to protect his or her $1 million exemption amount, which would therefore not be available to the surviving spouse. So instead of protecting $2 million from taxes, the couple could protect only $1 million. Bottom line? If the couple had used traditional AB planning, they could have eliminated all Massachusetts estate taxes, in addition to federal estate taxes. Creditor protection. Protection varies from state to state, so your clients should consult with their attorneys to understand the limitations. Protection of subsequent spouses. If a surviving spouse remarries and is again predeceased, the unused exclusion amount from the first decedent spouse is wasted if portability alone was relied upon for estate planning. Spendthrift protection. By planning to place assets in an AB trust when the first spouse dies, a couple can predetermine how the surviving spouse will benefit, in addition to controlling the assets for children and grandchildren. When a surviving spouse remarries and estate documents are redrafted to provide financial assistance to the new spouse, assets may be comingled. If done without careful consideration to the existing and new family structure, children from the previous marriage could be accidentally disinherited or may not benefit in the manner in which the deceased first spouse would have wanted. In that regard, an AB trust can provide for spendthrift protection. No probate. 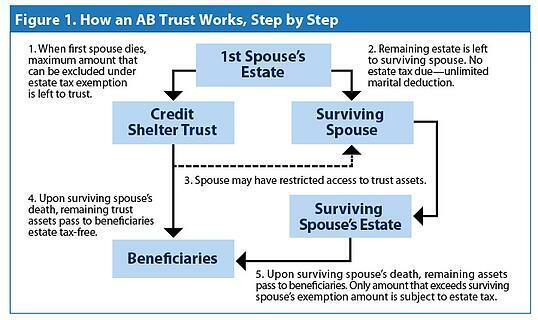 Assets in the AB trust will avoid probate when the surviving spouse dies. No basis adjustment. Assets held in a bypass trust do not receive a basis adjustment at the surviving spouse’s death. As such, heirs who inherit these trust assets will inherit basis equal to the fair market value of the assets at the first spouse’s death. The expense. 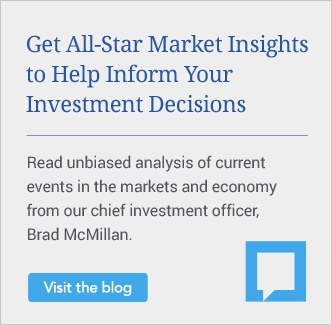 Trusts with more complex tax planning provisions, such as AB trusts, are a more expensive engagement for the client compared with other planning options. Limited access to funds. There are benefits to limiting a spouse’s outright access to trust assets, but unforeseen problems may arise if the spouse requires unfettered access to funds. Compressed trust income tax brackets. Given this compression, careful consideration should be given to investment distribution strategies. Estate planning is definitely not a one-size-fits-all scenario. 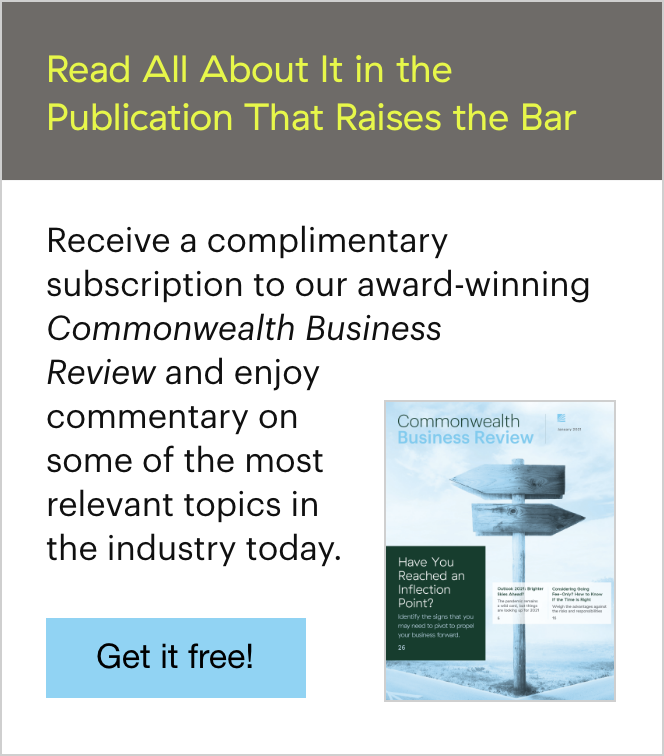 Depending on the progress of federal estate tax legislation and how that will affect the legislative behavior of individual states, you can help your clients decide whether the traditional AB trust or a more simplified approach best fits their needs. It may not be possible to achieve all of their planning objectives. Instead, to get close to achieving their objectives, it may be a matter of carefully analyzing and weighing the pros and cons of the various tax planning strategies in terms of your clients' personal beliefs and goals. Do you think the AB trust is still an effective planning solution? Are your clients looking for a simplified solution? Please share your thoughts with us below!